Little video of me talking very briefly about THE MISSION: BATTLE MODE! I showed THE MISSION at ITU’s Play Day about two weeks ago, and held a little contest for who could speedrun through the test level the fastest. I cleaned up and packaged that build, so now it’s available for you to play on the Download page. 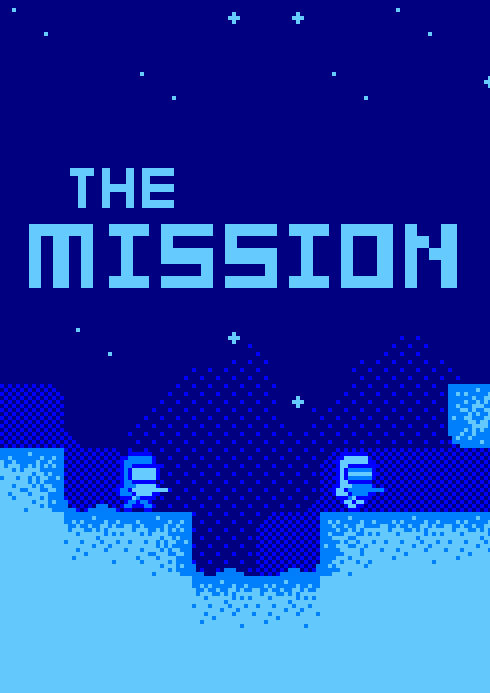 For ITU’s Play Day, I showed off THE MISSION. I made a poster! It’s A3 size. Print it out, put it above your bed, in your bathroom, inside your kitchen cupboard, wherever you like.